The never ending saga of Nick Diaz has taken another strange twist following his loss to Carlos Condit at UFC 143. Nick Diaz told Joe Rogan after the fight that he is done with MMA after suffering his first loss in 12 fights, ending and an 11 year career. I can certainly understand the frustrations of Diaz. Condit really did a phenomenal job of staying disciplined for the full five rounds and keeping Diaz at a distance for most of the fight. I wouldn’t call it running away, but Condit did his best not to engage with Diaz. On the other hand, Diaz was a one trick pony at UFC 143. His game plan was obviously to strike with Condit and when that wasn’t working, he had nothing. I can understand Diaz’s frustrations but quite honestly he was outsmarted by a more disciplined fighter tonight. The UFC really boxed themselves into a corner leading up to UFC 143. The company spent more time promoting a Nick Diaz vs. Georges St-Pierre fight than the actual fight that was headlining UFC 143. So now the UFC is caught in a situation where they have to sell the fight that nobody wants, including their own company. Quite frankly the company backed the wrong horse at UFC 143 and it bit them in the behind. Condit could have saved this and made himself those missed Diaz millions. Rogan asked Condit about fighting GSP after the fight. Condit could have cut a pro wrestling style promo on the UFC and GSP for overlooking him and created a new grudge match. Instead he said it was an honor and made fans even more disappointed that they weren’t listening to Nick Diaz trash talking GSP. I admire his professionalism, but professionalism isn’t going to help promote a fight that nobody wants to see. It really is a bitter pill for Georges St-Pierre. GSP now has very little motivation to work harder to recover from his injury. Dana White recently told Ariel Helwani that GSP would be back in action by the summertime and that he was ahead of schedule. Mike Goldberg said that GSP told him that he won’t begin full MMA training until June and was targeting a November return. How could Dana White even say such a thing if GSP won’t even begin to fully train in June? In other words, don’t count on GSP fighting in the summer. Condit is now the UFC interim welterweight champion. I really don’t understand why the UFC created an interim title for this fight. 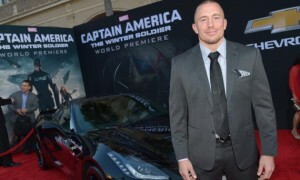 The announcers mentioned throughout the night that the winner would be challenging Georges St-Pierre for the title and referred to GSP as the champion. If GSP is still recognized as the champion, what is the point of this interim title? The fight business is an interesting game. It would not shock me whatsoever to see Carlos Condit suffer some kind of “mysterious” injury in September or October, setting up Diaz vs. GSP in November after all. I am not a big conspiracy theory guy but there is a lot of money on the line here and in the end, this business is about making money. I would be surprised to see Diaz retire and never fight again. He has threatened to enter the boxing game and maybe that is what he does. However, he makes a lot of money fighting in the UFC, money he would likely never make boxing. In the end, all Diaz needs is one win to justify a GSP fight. I think he returns to fighting by the summer and UFC fans get that Diaz vs. GSP fight sooner than later.